By wrapping services as active software agents, constantly bidding to consumers’ requests, self-organizing web service compositions can become real. But they still lack a negotiation capability. 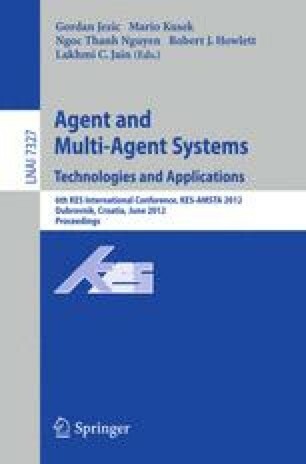 In this paper, we add to our Multiagent component composition system (MACOCO) the negotiation behavior of non-functional requirements, by implementing a modified version of the Zeuthen strategy, which allows both parties to get a fair agreement without knowing the utility function of the counterpart. We study the tradeoff of extra overhead versus a fair agreement, showing the feasibility and performance of this approach. A web prototype tool is available. UTFSM PIIC and CCTVal (FB.02PG.11 - Basal FB0821).